If you're struggling to make the monthly payments on your mortgage loan insured by the Federal Housing Administration, or if you've already fallen behind on these payments, you can get help from the federal government. The government runs several assistance programs that homeowners with mortgage loans can tap to help lower their monthly payments, something that could help them avoid losing their residences to foreclosure. The FHA Home Affordable Modification Program, commonly referred to as FHA-HAMP, provides financial incentives to lenders that agree to lower the monthly payments for homeowners who are struggling to make payments on FHA-insured loans. The goal is to lower these payments enough so that homeowners can afford to stay in their homes. Lenders can do this by lowering interest rates, forgiving a portion of a loan's principal balance or reworking the terms of a loan. Borrowers must meet certain requirements to participate, though. One or more borrowers must be employed, and borrowers must be able to prove that they have sustained a loss of income or increase in living expenses that make their monthly mortgage payments unaffordable. The total monthly mortgage payment after a modification must also not exceed 40 percent of the borrower's gross monthly income, their income before taxes are taken out. Homeowners paying off FHA-insured loans can also try to find relief through the Principal Reduction Alternative program, or PRA. This is another government program in which lenders receive financial incentives to help struggling homeowners. Under this program, though, mortgage lenders reduce the amount of money that owners owe on their mortgages, forgiving a portion of these loans' principal balances. Again, though, homeowners must meet specific requirements to qualify for this program. Their home must be worth significantly less than what they owe on their mortgage loans and their monthly mortgage payments must equal more than 31 percent of their gross monthly incomes. Participants must also occupy the home as a principal residence and owe no more than $729,750 on their first mortgages. Homeowners must also prove that they are enduring a financial hardship and are either behind on their mortgage payments or in danger of falling behind. The government's Home Affordable Unemployment Program is also open to homeowners with FHA-insured mortgage loans. Lenders participating in this program will reduce the mortgage payments of struggling and unemployed homeowners to 31 percent of their gross monthly incomes. Lenders can also choose to suspend homeowners' mortgage payments for 12 months or more. To participate in this program, owners must occupy their home as a primary residence, owe no more than $729,750 on their mortgage loan and have taken out their home loan on or before Jan. 1, 2009. 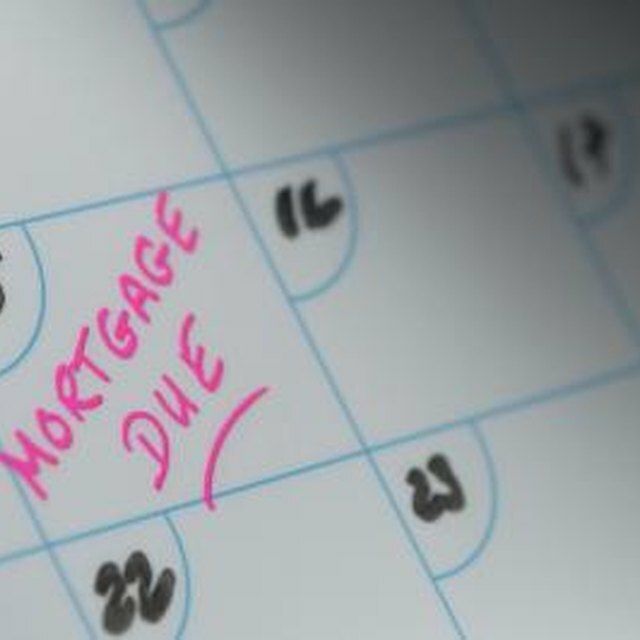 To participate in any of these programs, homeowners need to call the mortgage company to which they are sending their monthly home-loan payments. These lenders are not required to modify their borrowers' loans, but many might as a way to avoid the time and money that foreclosing on a home requires. Homeowners can't sell their homes while a modification is being processed. Some lenders might put restrictions on how quickly homeowners can sell their residences after a modification. This, though, varies by to lender; ask your lender about any possible restrictions before you start the modification process. Also, owners might owe their lenders money after a sale if they sell their home for less than what they owe on their modified loan. In such cases, owners would have to pay their lenders that difference.